It’s that single factoid that encapsulates the future of Latinos. Pretty dismal — and ironic since it’s been proven that ganas exist among Latinos to go to college and get a degree. In fact, the story of Latinos and education seems to swing from one extreme to the other with some successes, some failures and a whole lot of potential. 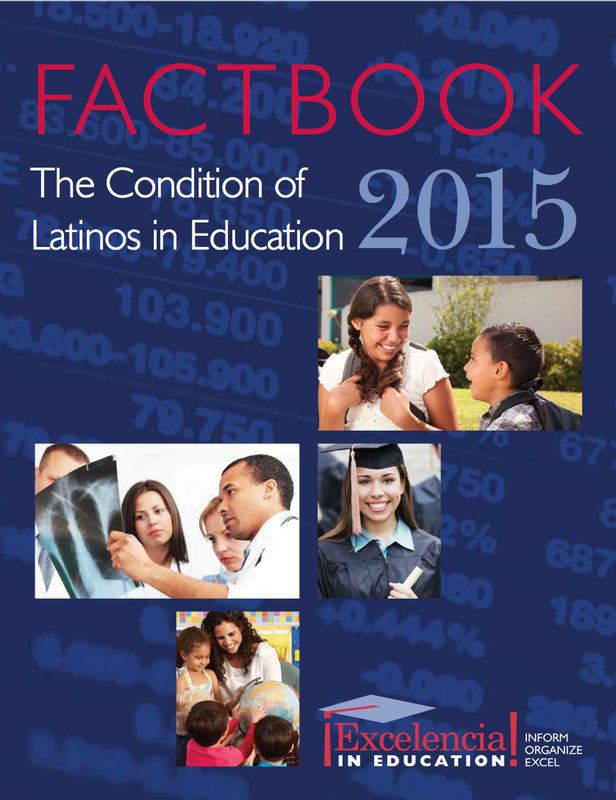 To get a clearer picture of the state of education with Latinos, Excelencia in Education has released the Condition of Latinos in Education 2015 Factbook. From early childhood learning to entering the workforce to Latinas in STEM careers to which colleges are graduating the most Latinos, the free downloadable report features the latest Census information and educational statistics that when taken together act as a digital crystal ball revealing an uncertain future if more Latinos don’t embrace, persist and graduate from college or technical programs. According to the fact book, more Latinos have earned an associate’s degree versus a bachelor’s; Over half of Latino students at 2-year colleges needed remediation; and the top three disciplines where Latinos have been earning associate degrees consistently for the last ten years were liberal arts (38%), health professions (16%), and business (12%). But associate’s degrees aren’t enough to get the kinds of jobs that provide economic security in the future. More Latinos are getting that message. Latinos increased bachelor degree attainment in the last ten years. In 2013, 3.1 million Latinos had earned a bachelor degree as their highest degree earned. This was a 63% increase from the 1.9 million Latinos who held a bachelor degree in 2004. Unfortunately, when it comes to getting a master’s or doctorate, Latinos lag way behind their peers. Fewer Latinos have earned a master’s degree as their highest degree than other groups. As of 2013, 3% of Latino adults had a master’s degree as their highest degree, compared to Asians (15%), Whites (8%), and African Americans (6%). Latinos earned doctoral degrees at lower levels than other groups. As of 2013, 141,000 Latinos had earned a doctoral degree as the highest degree earned, compared to Whites (2.6 million), Asians (502,000), and African Americans (192,000). It’s a prediction that’s already coming to fruition — and leaving many Latinos behind.